Pradeep Singh Dami’s two-storied house in Tawaghat village in Uttarakhand’s Pithoragarh district fell like a pack of cards on June 17, when the raging Kaliganga river knocked off a chunk of the hill beneath his house. Dami had small savings so he rented a room in Dharchula town, about 20 km from Tawaghat. Once a shopowner, he is now a shop assistant and can barely feed his family of five. But very few are as fortunate as Dami to have received compensation. Kamal Singh of the same village loaned Rs 20,000 to claim compensation for his house. He spent all the money visiting government offices, but has still not received the amount. His neighbour Ram Singh Khela got a cheque of Rs 200,000 as compensation for the two houses he lost. But it is of no use to him as he does not have a bank account to get it encashed. He lost all the documents required to open an account along with his houses. Three months after disaster struck Uttarakhand, its government is still struggling to repair its roads. 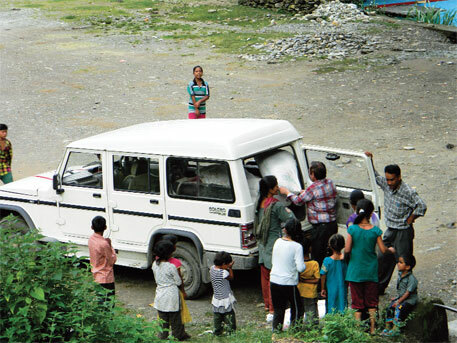 The arterial road that connected Darma valley with Dharchula sub-division is still damaged. Every day people precariously walk on loose debris that may have once been someone’s house. Ajit Singh Rongchu left his 30-year-old house in Sobla village damaged on the day of the disaster when he was air-lifted to safety. When rains subsided, he returned and built a small shelter with the tarpaulin provided by the government. “I have lost everything. How will I pay rent and feed my family?” he asks. 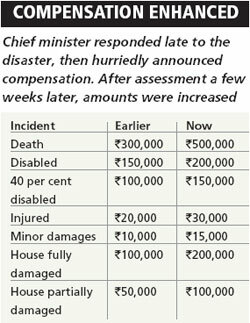 Didn’t chief minister Vijay Bahuguna promise Rs 3,000 as rent to those displaced in the disaster for a year? “We have not received anything. Some people got a small amount, but they bribed officials to get that. I do not have anything to bribe,” he says. 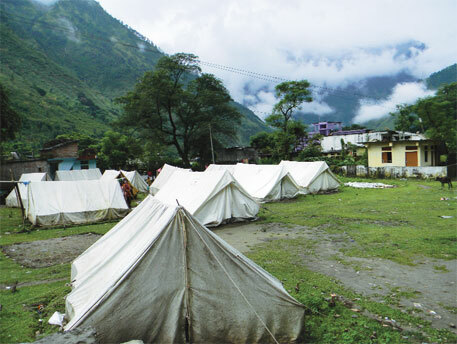 “Uttarakhand does not have a resettlement and rehabilitation policy. Whether people are displaced by dams or by disaster, the government always has to start from scratch,” says Ravi Chopra of Dehradun-based advocacy group People’s Science Institute. On June 17, the day people were braving floods and landslides, the state government was announcing its first rehabilitation and resettlement policy for hydel projects. It claimed the policy was “the best in the country”. The government did nothing much after the announcement. 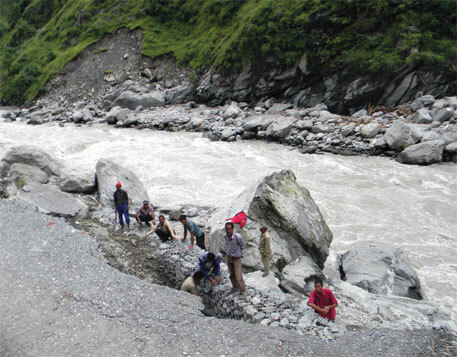 Almost 15 days after understanding the enormity of the disaster, the state government announced setting up of the Uttarakhand Reconstruction and Rehabilitation Authority, which would supervise the rebuilding and rehabilitation work in Rudraprayag, Chamoli, Uttarkashi, Tehri and Pithoragarh, the worst affected districts in the state. It was also given charge of handling disbursement of compensation. It also announced sops such as Rs 500 to each student of intermediate college and school and Rs 1,000 to those in polytechnic and degree colleges. The Cabinet also announced it will take responsibility of all the orphaned children. 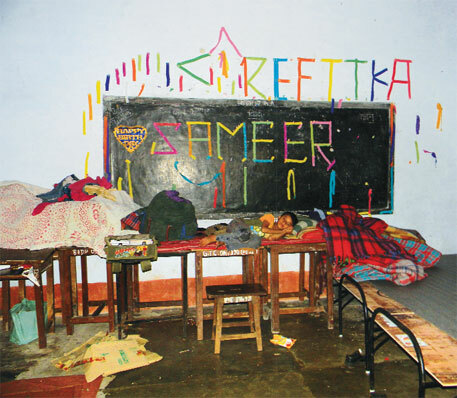 However, all colleges in the disaster-affected districts are still closed, so the amount is of no use to the students. What’s more, according to government figures only 10 children were orphaned in the June 17 disaster. According to official figures, about 600 villages were affected in the disaster. 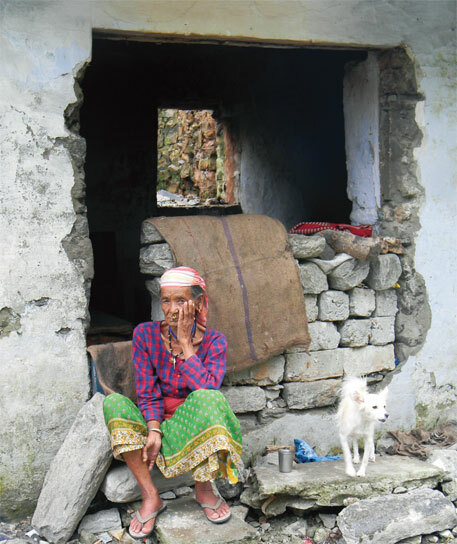 In 2010, the disaster-prone state had 243 vulnerable villages. The number rose to 550 in 2013. So after the disaster, 1,150 villages need rehabilitation. But till date, only Chhatikhaal in Rudraprayag district has been partially rehabilitated. Disaster Mitigation and Management Centre chief Piyush Rautela says, “Unpredictability of rainfall and unique geographical conditions of the state have made the rehabilitation exercise difficult. Hundreds of villages have been swept away. It will be naive to bind the exercise within a time-frame”. State government officials blame the delay on lack of land. That’s not true, says social activist Purushottam Sharma. “The government has been quite generous in distributing land to corporate houses, builders, religious organisations and politicians. The chief minister has squandered away about 100,000 hectares (ha) in this manner,” he says. When Uttarakhand was formed, the state had 5.6 million ha. Of this, 63 per cent was forestland, 14 per cent agricultural land and 23 per cent non-agricultural land. This means, the state had 1.2 million ha non-agricultural land, which could be used for rehabilitation. Of the 0.8 million ha agricultural land, government leased out thousands of hectares to industrialists. It also diverted about 7,567 ha to power projects, says Sharma. “What the state government should do is strictly implement the Land Ceiling Act, form a land bank, and use it to rehabilitate the homeless,” he says. But the state government is so unsure of its plans that it is constantly changing them. After facing flak from several quarters for not acting on time, the chief minister hurriedly announced pucca camps for the homeless. Soon authorities realised that families do not like to be displaced too many times. Moreover, they could claim land rights in future. So the government declared the scheme to distribute money for rent, says state rural development department official on condition of anonymity (see ‘Compensation enhanced’). Now, the chief minister has announced that pre-fabricated houses will be set up at 19 locations for the homeless. According to Bahuguna, 70 to 100 families can be rehabilitated in one village which will have basic facilities such as a school, a hospital and a community centre. He claims that the life span of these houses is more than 35 years. The state government has already floated tenders for this, setting October 30 as the deadline. The announcement not only confirms Jaman Singh’s fear of being pushed to a tin shed, but also threatens his survival. Singh used to earn his daily bread from his agricultural fields and cattle. “Government will give me a tent far from my village. It will neither give me land nor employment. How will I feed my children away from the place I belong to and away from my community?” he asks. State chief secretary Subhash Kumar says the Union Inter-Ministerial Group for rehabilitation of Uttarakhand has agreed to sanction Rs 6,687 crore to the state for its rebuilding and reconstruction projects. This is a part of the state government’s demand for Rs 13,800 crore assistance to rebuild the calamity-hit districts. The proposal was made on the basis of the estimates of losses. This apart, the Asian Development Bank (ADB) would loan $30 million for tourism development, $95 million for highways and connecting roads, $10 million dollars solely for hill roads, $12 million for drinking water and $6 million for construction of drainage systems, says additional chief secretary Rakesh Sharma. The World Bank would loan $30 million for drinking water projects, $50 million for repair of damaged buildings, $20 million for irrigation and $23 million for technical support, he says. Together, ADB and World Bank will provide Rs 3,000 crore through their “crisis window” provision. This would be repaid in a ratio of 90:10 under which 90 per cent would be paid by the Union government and 10 per cent by the state government, he adds. Apart from this, Rs 1,187 crore will be released for the National Disaster Response Force, Rs 1,500 crore from Centrally aided projects and another Rs 1,500 crore as additional Central aid. Money does not seem to be falling short, but while the cries of help still echo in Uttarakhand, what seems lacking is its government’s inclination to bring life back to the state.